Where Can I Bet on Boxing? We receive many emails from our readers with questions ranging from asking us who we like in a fight to "Where can I bet on boxing?" Regardless of the question, we're always happy to help! There are hundreds of websites online offering boxing betting. With that being said, there are only a handful that are worth signing up for though. One needs to do their homework before sending their money off into cyberspace. This can be a frightening proposition for a person who is new to the online gambling world. We take the fear out of that equation! We've been in the industry since 1998 and are very familar with which online sportsbooks are legit and which are a joke. Here at Lootmeister.com, we only advertise the cream of the crop. 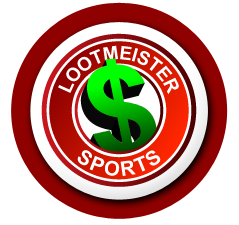 If you're betting at a Lootmeister recommended sportsbook, you're playing at a site that is ROCK SOLID as our integrity is not for sale! Listed beow, you'll find a list of top flight betting sites. Got questions? Drop us a line at admin@lootmeister.com and one of our friendly staff will be happy to assist you! 5Dimes - If you're familiar with our site, you'll see that we promote the heck out of 5Dimes Sportsbook. There's a reason for this... They're the BEST! This place offers discounted odds on all sports which means that you pay less! They also have the fastest payouts in the industry and we've NEVER heard of a payout complaint. You make a bet, they take the bet, they pay the bet should you win. When you sign up there, you get the option of taking a signup bonus or reduced juice betting. Take the reduced juice! It's like a never ending bonus that will save you TONS more over the long haul! Bovada - We call 5Dimes the best, but they too could be dubbed with that prestigious honor. Bovada is the sister book of Bodog, which is one of the biggest and most solid betting companies in the world. They're more catered to recreational bettors and offer a very generous 50% signup bonus up to $250 in free cash. You can't go wrong here. GTBets - This is the newest of the bunch but still very solid. You can't beat their 100% bonus up to $500. It's simply the best bonus promotion running on the web.